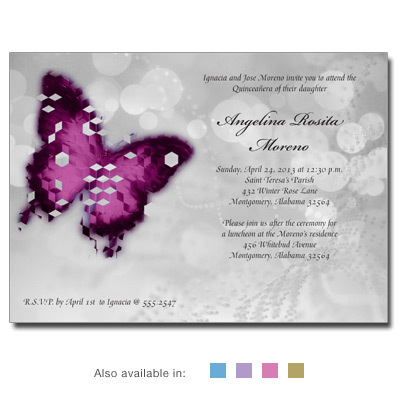 An abstract butterfly symbolizing rebirth into adulthood over a faint ornate Quinceanera dress is the visual of this invitation. Choose from a background of gold, silver, pink, purple or blue. Party details are printed in black. Card measures 7x5.